On July 8 2014 the Israeli Defence Forces launched a military offensive against Gaza. During the next 51 days the Israelis directed an estimated 20,000 tons of explosives at Gaza – more than the Hiroshima bomb – in response to rockets directed at them by armed groups in Gaza which were estimated to have carried somewhere between 20 and 40 tons of explosives in total. It was difficult to call it a war when there was such a stark disproportionality between the two sides. In terms of quantity of explosives the ratio was between 500-to-one and 1,000-to-one. Even that understates the disparity because the weapons used by Israel were equipped with sophisticated guidance systems which could direct missiles to within a few feet of their targets, whereas rockets sent into Israel by armed groups in Gaza were rudimentary and mostly lacked any guidance system at all. The great majority landed in the desert. Thus the disproportionality in firepower resulted in a similar disproportionality in casualties. 1,462 civilians were killed on the Palestinian side compared with six on the Israeli side, according to the United Nations. 552 children were killed on the Palestinian side, one on the Israeli side. On July 8 2015 – the first anniversary of the Israeli offensive – the House of Commons held a debate to consider the Independent Commission on Inquiry on the Gaza conflict, commissioned by the United Nations and chaired by the American Judge Mary McGowan, which had been endorsed by the UK Government in a 41-1 voted at the UN Human Rights Council in the preceding week. Only the US voted against. 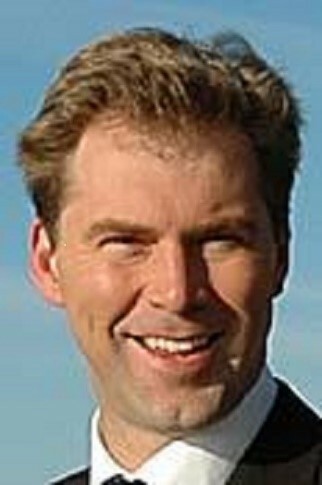 The debate was introduced by the new MP for Halifax, Holly Lynch, and in an unusual move the deputy speaker presiding over the debate, Philip Hollobone, restricted backbench speakers to 2½ minutes and urged them not to intervene on one another’s speeches in order to give as many MPs as possible the chance to speak. This allowed 22 MPs to take part in the debate. This report does not claim to be a full transcript. It leaves out parts of speeches which are made solely because of parliamentary protocol and omits four speeches which simply rehearse the Israeli government’s objections to the United Nations Commission of Inquiry, which have been fully reported elsewhere. Nowadays the press reports very little of what is said in Parliament and nothing at all of debates like this. But we believe people will find it rewarding to read this debate and to see how many MPs from all parties feel strongly and speak passionately about what is happening in Gaza. You can read the debate on this website below or you can read it as it appears in print by clicking on this link: Gaza Questions to be answered 3 or you can order a print copy from martin@palestinebriefing.org. Holly Lynch (Halifax) (Lab): I beg to move that this House has considered the report of the UN Independent Commission of Inquiry on the 2014 Gaza conflict. I start by saying how pleased I was that Britain was one of the 41 countries at the United Nations Human Rights Council in Geneva to support the adoption of a resolution on the Gaza Commission of Inquiry report, which looked into the 2014 Gaza conflict and will now be referred to the UN General Assembly and the Office of the High Commissioner for Human Rights. Like many other people, I feel that is an important step in both highlighting and addressing the ongoing conflict, which has blighted lives for more than half a century. It is shameful that the international community has failed to make any real progress towards achieving peace in the region in that time. Today marks a year since Israel launched Operation Protective Edge in Gaza, a conflict that lasted 51 days, claimed 2,251 lives, including the lives of 551 children, displaced more than half a million people, and destroyed 77 health facilities and 261 schools. Each day, an average of 680 tank and artillery shells pummelled the densely populated areas of Gaza, leaving barely anywhere safe. Although the report recognises that Israel issued warnings to people to evacuate, there was often nowhere for them to evacuate to and no means of escaping the conflict zone. Gaza is a tiny strip of land covering just 139 square miles. If we bear in mind that West Yorkshire alone covers 780 square miles, it gives us some perspective of just how small Gaza is, yet 1.8 million Palestinians live in what is increasingly becoming a densely populated open-air prison, and they have nowhere to go. In 2012 the World Bank published a report, “Gaza 2020”, which predicted that Gaza would become uninhabitable by 2020 as a result of the blockade, an increase in population size, and insufficient access to clean drinking water, electricity, and health and education services. After the devastation of July and August 2014 Gaza has reached 2020 five years ahead of schedule. Currently, 860,000 Palestinians in Gaza survive on the UN Relief and Works Agency food parcels. In addition to the destruction of health facilities, schools and homes, there has been massive disruption of water supplies, sewage disposal and electricity supplies, and they have not yet been repaired. One year on, not one of the 8,377 homes that were totally destroyed in the conflict has been rebuilt, and repairs have been carried out on only 5% of the 23,597 homes that were partially destroyed. Much of the aid pledged at the Cairo conference for reconstruction in Gaza in 2014 has not yet materialised and I hope the Minister can update us about the UK’s contribution. The UN requested $720 million, but it has received only about $210 million. The UN Relief and Works Agency faces a severe funding crisis, as it has a deficit of $100 million, which is having a serious impact on its ability to deliver essential humanitarian aid. I hope the Minister can also say why, at a time of such turmoil in the Middle East and when institutions such as the UN Relief and Works Agency are delivering vital aid and support to vulnerable communities, the Government are proposing a 17% cut in the Department for International Development’s contribution. Given the fragility of the region, the mass displacement of people and the rising threat of terrorism, it is in our own interests to invest—both politically and financially—in bringing about a stable Middle East to ensure that Palestinians have a future within their own borders. There is one glaringly obvious way in which we can ensure the effectiveness of UK taxpayers’ money when it is spent in Palestine, with a view to achieving long-term reductions. That is to stop Israel flattening projects funded by the EU, DFID and the UN Relief and Works Agency, and institutions that are part-financed by Britain. In July the Chancellor announced further cuts in and scrutiny of public spending. I would like to see the Government apply the same level of scrutiny and accountability to the destruction of those buildings and projects in Gaza. Perhaps the Minister will update us on that and say whether he will send Israel a bill for the damage. We must consider what cuts might mean for Palestine at this time. The UN Relief and Works Agency provides schooling to 500,000 students across the Middle East in 700 schools, but it will be unable to do so if its current financial deficit continues. At a time of rising militancy in the region, we have to ensure that young people have access to a good education and have a future beyond schooling. Otherwise, they will inevitably look elsewhere for promises—false ones—of a better life. That is a stark warning to all of us. The UN inquiry will investigate actions undertaken by both sides, which is right and proper. Acts of violence committed by either side against innocent civilians are wholly unjustifiable, and those responsible must be held to account. Although the report finds that both the Israel defence forces and armed Palestinian groups failed to distinguish adequately between civilians and combatants the conflict in 2014, the scale of the arsenal available to the IDF makes their failure particularly devastating. The Commission’s report highlights the IDF’s method of issuing warnings as an example of the failure to differentiate adequately between civilians and combatants in an attempt to create “sterile combat zones”. Leaflet drops or “roof knocks”, which involved a drop of small missiles prior to a much larger strike, were used to warn civilians of an impending attack. The Commission found that those attempts failed to have the desired effect, either because there was not enough time between warnings and the much larger strikes, or because, as was often the case, civilians felt that there was simply nowhere safer for them to evacuate to. The IDF then refused to recognise anyone who chose to stay in the area as a civilian, denying them the protections that would ordinarily accompany civilian status under international law. The Commission’s report also looked at the West Bank during the same period in 2014. Between 12 June and 26 August 2014, 27 Palestinians, including five children, were killed and 3,100 Palestinians were injured by Israeli security forces. That was largely due to increased use of live rounds as a means of achieving crowd control. The Commission’s report calls on Israel to bring its systems for investigating alleged violations of the law of armed conflict in line with international standards, and I hope that the UK will also take this opportunity to demand that. The examples that I have given must be the basis upon which we find ways to bring about change. We would be naive to think that these injustices are not feeding into a rise in militancy and unrest right across the region, as well as much closer to home. Gaza has been under blockade for eight years, and the Palestinian people have been living under Israeli occupation for almost 50 years. That is a damning indictment of the international community, and of our failure to secure peace and justice for the people of Palestine. It is now 21 years since the Oslo accord, and an entire generation of young Palestinians—the Oslo generation—have grown up to witness a worsening situation on the ground. There have been significant expansions of illegal Israeli settlements in the West Bank, heightened security threats to both sides, the construction of an illegal separation barrier, restrictions on Palestinian movement, the suffocation of productivity, punitive home demolitions and a humanitarian crisis in Gaza, and there is no end or hope in sight. It is depressing that, 21 years since Oslo, both sides seem to be further away from peace and security than ever before. I welcome Britain’s support for the Commission of Inquiry on Gaza. However, although the report identifies in great detail the violations against international law and makes recommendations about addressing those, it also recognises that we have been here before, time and again. The empty rhetoric about opening dialogue and, increasingly, getting round negotiation tables has now been ongoing for more than 50 years. It is time to think carefully about why the international community has failed and time to consider all the options available to us, to ensure that we are not still sitting here in five, 10 or 20 years’ time, discussing yet more reports on further conflict. That leads me on to what the UK could do, unilaterally if we must, to take concrete steps towards peace. We have condemned the illegal settlements in the West Bank, as well the collective punishment inflicted on the civilian population of Gaza, in breach of the Geneva Convention, which has been described as a war crime by the EU, the Red Cross and the UN. However, we simultaneously continue to trade freely with Israel. We support the Commission’s report, which outlines the deaths of innocent civilians in both Gaza and Israel, yet we continue to export arms to Israel. Yet since the brutal conflict in 2014, Britain has approved new arms licences for Israel of up to £4 million. Furthermore, The Independent newspaper reports that the Government also approved arms exports to Israel worth nearly £7 million in the six months prior to Operation Protective Edge. Does the Minister agree that turning a blind eye to violations of international humanitarian law when an arms deal is on the table undermines our standing in the world and begins to compromise our integrity? A new approach to diplomacy must be based on the protection of civilians, on equal respect for the human rights, security and sovereignty of both Israelis and Palestinians, and on the realisation and implementation of international law, beyond just the rhetoric. It is not enough to focus exclusively on negotiations while failing to hold Israel accountable for violating international humanitarian law. In 2010, on a visit to Turkey, the Prime Minister said: “Everybody knows that we are not going to sort out the problem of the Middle East peace process while there is, effectively, a giant open prison in Gaza” and called for an end to the blockade, to allow a free flow of humanitarian goods and people. I hope that we all support him in making that a reality, beyond the rhetoric. The crisis in Gaza must be understood in a wider context of a 48-year illegal occupation of Palestine. It is essential that the UK and the wider international community are honest brokers for peace and take practical steps towards addressing the root causes of the conflict, starting by ending the illegal occupation of Palestine and ensuring that Palestinians are able to enjoy their basic human rights and freedoms. Some 64% of Gaza’s population is under the age of 25. The report recognises that, without any economic horizon or sustainable productivity, there is an inevitability about the cycle of conflict and unrest. That will serve neither Israel nor Palestine, so it must be addressed. I am proud that the Labour party supported the motion in 2014 to recognise a state of Palestine. Surely that would be an easy starting point. In 2012 at the UN General Assembly 135 countries voted in favour of Palestinian statehood. In 2014 a number of EU Member of Parliament states also voted in their Parliaments in support of recognising a Palestinian state. The argument that the recognition of a Palestinian state should come at a time that is deemed suitable is hollow. Israel should have no right of veto over the right of Palestinians to self-determination. Recognising Israel was not subject to negotiation, and recognition of Palestine should not be either. We can and should do more with our European partners to hold to account those who commit violations of international law and to promote endeavours such as this report, which is a welcome first step. I hope that the Minster will consider and respond to some my proposals. Sir Gerald Kaufman (Manchester, Gorton) (Lab): When I was in Gaza, I spoke to a girl who told me she was standing between her parents when an Israeli soldier came up and shot her father dead in the head, and then shot her mother dead in the head. The Israelis use the holocaust: they use the murder of six million Jews to justify their murder of thousands upon thousands of Palestinians. The issue is every single way in which the Israelis deal with the situation. An Israeli told me that when there was insufficient electricity in the summer to supply air-conditioning to the luxury flats of Tel Aviv, the Israelis cut off electricity to Gaza in order to allow the people of Tel Aviv to be air-conditioned. The horrors mount up and the horrors have mounted up. There are children whose brains will never develop because their inadequate diet prevents them from developing physically and therefore mentally. It is satisfactory that the Government voted for the UN report, but it is not enough. We have to take action. We have to impose an arms ban and economic sanctions on these murderers, who live a first-world life courtesy of America and the European Union. The Palestinians are a persecuted people and it is time that that persecution was brought to an end. We will not rest until the Palestinians are free. 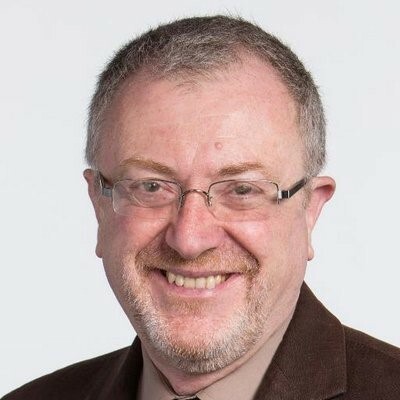 Richard Burden (Birmingham, Northfield) (Lab): I congratulate the Government on voting for the Human Rights Council resolution, but the whole question is about what happens as a result. The background, as the Member of Parliament for Halifax said, is that we have been here before. The resolution bemoaned the lack of progress on the previous inquiry into the Israeli assault on Gaza in 2008-09. Given that the Human Rights Council has noted a failure by Israel and Hamas in co-operating with legal investigations and that the International Criminal Court is looking into this matter, what can the Minister and the international community do to force that co-operation? My second question is about Recommendation 6 of the Human Rights Council resolution, which calls on all states to “promote compliance with human rights obligations” and calls on all high-contracting parties to the Fourth Geneva Convention to “make particular efforts in that regard”. Britain is a high-contracting party to the Geneva Convention. What will Britain do to ensure compliance with the provisions of that resolution? I commend to everyone the concluding observations and recommendations. They are important for all the debates in this area.The report recommends that Palestinians and Israelis should be “refraining from and taking active steps to prevent statements that dehumanize the other side”. Having seen the United Nations Relief and Works Agency director-general, Pierre Krähenbühl, on his visit to MPs, I note the critical importance of the conflict. Daesh is in the area, and I want all the recommendations to be implemented. As the Independent Commission has said, the greatest challenge is to implement its fair recommendations. Andy Slaughter (Hammersmith) (Lab): We should welcome the report, even though, in an attempt to placate the Israel lobby, it does not address the issue of asymmetry in the 2014 conflict—or, indeed, in previous conflicts. In the invasion in 2014, more than 500 Palestinian children were killed, compared with one Israeli child. Any death of a child—any death of a civilian—is to be mourned, but we cannot ignore the ratios. Five hundred times as much high explosive was dropped on Gaza as was fired into Israel. I went there after Cast Lead and saw the effects. I saw children who were traumatised, who were permanently disabled and who were permanently crippled by those actions. This is not only a state with which we retain good relations; it is a state that we condone. During the attack in 2014, the Minister thought about the possibility of restricting arms sales to Israel, but, by the time he had finished thinking about it, the 50 days of invasion were over. I say it with great reluctance, but I am increasingly of the view that we are going to have to take steps. We are going to have to give encouragement to the Palestinian people by recognising Palestine. It is disgraceful that the Government are not prepared to do that and use every possible excuse. We must also look at sanctions, embargoes, not importing settlement goods and not selling arms to a country that is about to use them for another attack on children and civilians in Gaza. Debbie Abrahams (Oldham East and Saddleworth) (Lab): It is important to recognise that although the report mentioned atrocities committed by both Hamas and Israel, it focused on the disproportionate and indiscriminate nature of the attack on Gaza. The report identifies many possible war crimes, including air strikes on residential buildings, the use of wide-area shells and heavy artillery in densely populated areas, and the targeting of civilians by Israelis, as well as the use of human shields and the execution of collaborators by Hamas and other armed Palestinian groups. That must be recognised as we move forward. The report recommended that the international community support the work of the International Criminal Court, which is currently conducting a preliminary investigation into the war. Will the Minister lend his support to Palestine becoming a member of the ICC? I am pleased that we signed up to the UN resolution, but will the Minister outline how the Government will be taking forward the elements that relate to the UK? When will the Government be in a position to recognise Palestine as a state? In September 2014 I asked about the review of UK-supplied arms and components, and I would be grateful for a response on that as well. 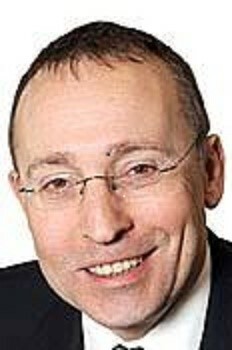 Grahame Morris (Easington) (Lab): It is precisely because Israel suffered no consequences for its earlier crimes committed during the operations in 2008 and 2012, that it was able to go on to commit even greater atrocities a year ago today. International law is only as strong as the parties that are willing to enforce it. We have witnessed generations of failure because of a lack of political will not only to acknowledge but to take action against Israel’s violations. Over the past half century, Israel has placed itself above international law, breaching human rights and failing or refusing to adhere to the duties and obligations placed on it as an occupying power. Its position has been strengthened by an international community that, to varying degrees, has acknowledged significant and persistent violations of international law, whether they be human rights violations during military conflicts, as we saw in 2014, or the prolonged injustice of Israel’s illegal and brutal occupation and settlement policy. If the Government are sincere when they claim that we, as a nation, support the rule of law and wish to see a peaceful resolution to the Israel-Palestine conflict, we should expect Israel to be held to account for its litany of crimes under international law. I am happy the Government supported the UN Human Rights Council resolution, and I certainly acknowledge that to the Minister, but if we are to make a positive contribution to resolving the conflict, our foreign policy should be to refuse to profit from the illegal activities of others. Without such a commitment, we will forever stand on the wrong side of history, in that we will be promoting injustice and undermining international law. If the two-state solution is to mean anything and to become a reality, the international community must be willing to take practical action to end the Israeli Government’s illegal behaviour. Andy McDonald (Middlesbrough) (Lab): I, too, welcome the fact that the Government voted in favour of the report at the UN Human Rights Council last Friday. I look forward to seeing how they implement the robust recommendations of the report, which highlights Israel’s targeting of residential buildings, including schools, hospitals and apartment blocks, the use of heavy artillery in densely populated areas, and the targeting of civilians. Given the way in which Israel conducted its assault—it used 20,000 tonnes of explosives, dropping 120 one-tonne bombs and attacking residential neighbourhoods in one of the youngest and most densely populated areas in the world—the primary victims were always going to be civilians and children. The UN report found that [at least] 65% of Palestinian deaths were civilian, including more than 500 children. The images of the four boys killed by explosive rounds while playing on Gaza’s beach are the most enduring of the conflict. Britain approved the sale of £7 million of arms to Israel in the six months before the offensive. That included components for drones, combat aircraft and helicopters. The Export Control Organisation, which is part of the Department for Business, Innovation and Skills, is responsible for assessing arms export licences, with each licence assessed on a case-by-case basis against the consolidated EU and national arms export licensing criteria. Those include consideration of whether the proposed export would “provoke or prolong armed conflicts or aggravate existing tensions in the destination country…be used aggressively against another country…be to a destination where the behaviour of the buyer country raises concerns with regard to its attitude to terrorism or respect of international law”. Mark Durkan (Foyle) (SDLP): Like other Members of Parliament, I commend the Government for supporting the July 2015 resolution. I do not see the report as unbalanced. Paragraph 668 states that “the Commission was able to gather substantial information pointing to serious violations of international humanitarian law and international human rights law by Israel and by Palestinian armed groups. In some cases, these violations may amount to war crimes.” That is what we should be addressing. We should also be clear that we need to move forward. Other Members of Parliament have rightly said that arms sales continue. In the four months following the attacks, arms sales went to Israel, so more has been done to replenish its arsenals, which were depleted in these massive attacks, than has been done to repair Gaza’s battered, blasted and rubbled civic fabric. We also need to remember that the building of that civic fabric, which is now damaged, was supported by aid from this country and others. People have a right to defend health facilities, schools and civil infrastructure, which need to be protected. Today, however, we have heard the pretence that Israel has the right to treat Gaza as though it is a foreign state and to attack it on the basis that Israel is under threat from another state. That is from the same Members of Parliament who then tell us that we in this House do not have the right to call for Palestine to be recognised as a state. How come people can recognise Palestine as a state when they want to justify violence—for military purposes—when the rest of us are not allowed to recognise it as a state for diplomatic and political purposes and to achieve a peaceful resolution? Dawn Butler (Brent Central) (Lab): I need to declare an interest because I am vice-chair of Labour Friends of Palestine. I plan to visit Gaza, God willing, in 2015. When we speak in the House, we must be careful, because we are speaking about the loss of many lives, and the numbers were very disproportionate. During the year of tension, cross-border rocket attacks led to a military offensive by Israel, resulting in the deaths of 2,100 people in Gaza, with 11,000 injured, as well as the deaths of 64 Israeli soldiers and seven Israeli citizens. We need to avoid all such deaths, and some Member of Parliament need to be careful about how they talk about the loss of such innocent lives. Naz Shah (Bradford West) (Lab): I echo the sentiments of the Member of Parliament for Halifax, Holly Lynch. I welcome the report, but it stops short on many points. I struggle to reconcile the Government’s position of arming Israel and breaking the EU restrictions, and of condemning the illegal settlements yet allowing free trade with the UK and EU markets. Israel was not subject to negotiation, and neither should the recognition of Palestine be. Israel should have no right of veto over the Palestinians’ right to self-determination. Cat Smith (Lancaster and Fleetwood) (Lab): It is 21 years since Oslo, and peace does not seem any closer. To put that in context, I am not the only Member of Parliament of the House who was still at primary school at the time of the Oslo agreement. There have been 48 years of illegal occupation of Palestine, including the West Bank and East Jerusalem, as well as Gaza. In Gaza, 80% of the population have been living in poverty and 61% in food insecurity since the blockade. That is the effect on the humanitarian situation. Does the Minister agree with Baroness Anelay, the Minister in the Lords, who said: “All countries…have a legitimate right to self-defence”? If so, when the UK finally joins the 137 countries that already recognise Palestine, will he recognise that it too has the right to self-defence when it comes under attack? A new report by Medical Aid for Palestinians highlights the fact that 17 hospitals and 56 primary healthcare facilities were hit during the 2014 attack. How much damage was done to UK-funded projects in the attack in 2014? It is right that we should mourn the deaths of all those killed in the 2014 attack; but is it possible truly to mourn and to continue to export arms to Israel in breach of the EU arms export rules? By ignoring Israeli violations of international law the Government weaken Britain’s authority and influence on the world stage. I will focus on three things. First, I would love a response from the Minister about what confidence building action the Government are taking, particularly on Gaza. The Gaza reconstruction mechanism is clearly not working, but it is also not a substitute for easing the closure. There is a need for urgent expansion of access to Israeli markets for Palestinian exports. What measures are the Government taking to that end? We also need to remove the last restrictions on the export of Gazan products to the West Bank. Finally, the allegations—including allegations of war crimes—in the Commission of Inquiry’s report must be investigated fully by Israel and Hamas. Both sides of the conflict deserve access to justice and accountability. For the most part domestic mechanisms and investigations are poor; they are either rejected quickly or not run to international standards. Indeed, the report notes that Israel has a “lamentable track record in holding wrong doers accountable” and that investigation by Hamas is “woefully inadequate”. Following the UK’s welcome endorsement of the report in July 2015, I would love to hear what the Government intend to do to support international mechanisms to pursue justice and accountability, particularly in relation to preliminary work by the International Criminal Court. Stephen Kinnock (Aberavon) (Lab): The report, much like the issue of Gaza, is about proportionality. Although its conclusions are 60% devoted to what Gaza endured, they are 40% devoted to what Israel endured. Yet those figures do not stack up. When we consider that 551 Palestinian children and one Israeli child died, we begin to see how massively the issue of proportionality figures not just in Operation Protective Edge but in the report. I am delighted that the British Government endorsed the report, but it does not reflect the proportionality of the situation. Looking forward to how to rebuild Gaza, I agree with the Member of Parliament for Batley and Spen Jo Cox that it is currently simply not working. It is pretty clear that Gaza is not going to be a viable place to live in. Why is the Department for International Development cutting its contribution to The UN Relief and Works Agency by 17% in the 2015-6 budget year? The UN Relief and Works Agency plays a critical role in the reconstruction of Gaza, so it seems a completely counterintuitive and counterproductive thing to do. Imran Hussain (Bradford East) (Lab): The report makes clear the scale of the mass slaughter committed during the 2014 war on Gaza, and the escalation of violence and disregard for life perpetrated by all involved. I am deeply concerned that those events, and the failure of Israel in particular to engage with the investigation into them pose a great challenge to the chance of finding a peaceful solution to the conflict. Let us be clear; the actions of the Israeli Government and their armed forces in 2014 were criminal and murderous. They were committed with a complete disregard for the taking of civilian lives, including those of hundreds of women and children. The report is absolutely clear about that. Israel showed a callous disregard about who was being hit by its bombs, and that was emphasised by the fact that it did nothing to modify its behaviour when the results were evident to all. The question that I want to ask, which I think is central to the debate, is why the Israeli Government are allowed constantly to flout international law and UN motions. Why are they allowed to act with impunity, not just in this case but in the illegal land grabbing on the West Bank? The fact that they refused even to engage with the investigation speaks volumes about how they continually ignore international law. It is time for that to end. It is time that Israel was held accountable for its actions and those of its military. The events of 2014 were, as the report makes clear, a worrying escalation with attacks by Israel on residential buildings resulting in the deaths of entire families, ground operations that levelled urban neighbourhoods, and a continued land grab. That escalation could happen precisely because Israel regards itself as somehow adjacent to international law. The report makes some critical recommendations, in particular with respect to international human rights, but none of them will mean anything if they are not adhered to. Prosecutions, convictions and punishments must be applied and must not stop with the individual soldiers involved; they must include those who are responsible for giving the orders, and the military and political establishment. Israel should address all the issues that fuel the conflict and impede respect for human rights. In particular, it should lift the blockade on Gaza and stop building illegal settlements. Dr Philippa Whitford, SNP spokeswoman: I must declare an interest. I worked in Gaza for 18 months as a surgeon in 1991 and 1992, just after the first Gulf war and during the first intifada, when George Bush was President of America. On the morning of the Madrid conference there was absolute chaos in Gaza and we had no idea how things were going to go. I had five patients with chest wounds in A&E by 7.30 am and we did not know whether Hamas and Fatah were going to turn the situation into a total civil fight. By half-past 4 in the afternoon, the shebab, or young men, known at that time for throwing stones in protest at the IDF, were on armoured cars with olive branches. People saw this as their chance for change 24 years ago. The problem is that all of us—all of Europe and all the rest of the developed world, especially America—took our eye off the ball. We have been busy doing other things. We come back and we talk about the running sore of the Israeli-Palestine conflict. It was talked about by Colin Powell after 9/11, and four weeks later normal service had been resumed: Israel had the absolute right to do within its territories what it chose. People in Israel want peace. There are many groups in Israel who want peace and want the attitude to change. We need to realise that that is not going to happen by itself. We also need to realise that we have a vested interest. I hate hearing how Hamas “seized power”. Hamas was elected. There have not been any new elections, but Hamas was elected because 11 years after the peace process, life was worse for people in Gaza. They had no work. Young people there know nothing other than how they are treated. They have zero future and no investment. Is it any wonder that they can be attracted to terrorism or extremism? It has been mentioned that recent rockets may have been associated with ISIS. What do we expect? People in Gaza are trapped in a large open-air prison. We talk about the warnings that people got from the IDF, either from leaflets or roof knocks. I am still in touch with people in Gaza through the wonders of Facebook. The gaps to get out were far too short, and people fed back to me that they had no idea where to go because schools and vulnerable buildings had been bombed. They stayed put because they thought that going out on the street was probably dangerous. Kerry McCarthy, Labour’s spokeswoman on the Middle East: Each and every death during this conflict on both sides was a tragedy. The appalling bloodshed underlined once more that there cannot be a military resolution. The only way forward is the diplomatic route and a negotiated two-state solution that recognises the state of Palestine alongside the state of Israel. As such, we welcomed the Egypt-brokered ceasefire last August. If we are finally to end the cycle of violence, we have yet again to ensure that the necessary lessons are learned from this most recent conflict. That includes holding accountable those responsible, and securing access to remedy for the victims. As we have heard, the UK abstained on the resolution that initiated the Commission of Inquiry in 2014. The Foreign Secretary at the time said that the resolution was “fundamentally unbalanced” and would not help to achieve a lasting ceasefire. The UK Government subsequently encouraged all sides to co-operate, but I suspect that the Foreign Secretary’s initial rejection of the inquiry might have undermined the UK’s influence in that regard. It was certainly disappointing that Israel declined to co-operate and that that prevented the Commission from investigating Israel’s claims. UK support for the resolution at the Human Rights Council in July 2015, though, was welcome. I hope that the Minister will tell us whether he now feels that the report has made a positive contribution. The report makes disturbing reading in identifying serious breaches of international law, by both Israel and the Palestinian armed groups that it warned could amount to war crimes. Last summer the Opposition condemned Hamas’s rocket fire, tunnels and extra-judicial killings, and I reiterate our condemnation. The Commission report conveys the sense of fear that the tunnels in particular stoked up among innocent Israelis. Rocket fire, however, by the very nature of such weapons systems, was indiscriminate and in violation of international humanitarian law. We recognise, too, Israel’s right to defend itself, but we agree with the Commission that the conduct of Palestinian armed groups does not “modify Israel’s own obligations to abide by international law”. The report documents some of the issues already touched on by other Members of Parliament: how residential areas were targeted; how strikes came in the evening or at dawn, as families were gathering during Ramadan; how ineffective the roof knocks were as a warning system; and how artillery and mortars with a wide-area effect were used. The report attempts to convey the extent to which Palestinian civilians felt trapped. Even if they had received warnings, there was nowhere obvious for them to flee to where they would be safe, as we have heard. It is difficult to imagine the sense of terror that that would engender in such a densely populated area. There were also distressing allegations that civilians carrying white flags were attacked. The cumulative impact of all that became evident all too soon. The Israel defence forces and/or the Israeli Government failed to re-examine their approach or to alter their tactics. In light of the report, I hope that the Minister will be able to reflect on whether the UK Government, and others, could have done more in 2014 to press Israel to re-evaluate its response to the rocket fire. Does the Minister think that the Prime Minister could have questioned the proportionality, the legality and the morality of Israel’s use of force, and questioned at the time what it would ultimately achieve? The Commission noted that “Israel’s interpretation of what constitutes a ‘military objective’ may be broader than the definition provided for by international law”. I hope that that is one of the many findings that the Foreign Office will discuss with its Israeli counterparts, in addition to expressing concerns about such things as Israel’s choice of weaponry. Does the Minister believe that Israel could have done more to uphold those three principles of proportionality, distinction and precaution? Several Members of Parliament have touched on the issue of arms export licences. The Government chose not to suspend any such licences for export to Israel in 2014 and sales have continued over the past few months. Members of Parliament have no doubt received emails from their constituents concerned that £4 million in arms sales to Israel were approved in the four months following the conflict in 2014. In light of the Commission’s findings, I hope that the Minister will tell us whether the Foreign and Commonwealth Office or the Department for Business, Innovation and Skills intend to review the licences, or Israel’s use of arms sold by the UK. Baroness Anelay, the Minister of State, said in the debate in the Lords in July 2015 that we are “most cautious” when we issue export licences. She ruled out a blanket arms embargo. I will be grateful if the Minister touches on whether a case-by-case arms embargo, or the revoking of certain licences, has been or will be considered. We cannot neglect the lasting legacy of last summer’s incursion and the humanitarian catastrophe that it triggered. As well as the loss of life, more than 11,000 Palestinians were injured, more than 3,000 of them children. It has been reported that 10% of them suffered a serious disability, and 1,500 children were orphaned. Furthermore, as we have heard, 18,000 homes were destroyed. I will be grateful if the Minister responds to the questions asked about the international support available to the victims of the incursion, about Department for International Development support to the UN Relief and Works Agency being cut and about what we are doing to help people in Gaza rebuild their infrastructure and homes. Looking to the future, the Commission acknowledged that its report is only the latest in a long line of inquiries and missions seeking to aid accountability and end violence for the people of Israel and Palestine. The report rightly highlighted that there has been a “persistent lack of implementation of recommendations”. With Israel and Hamas already rejecting the report and the US voting against the Human Rights Council resolution in July 2015, how can the international community ensure that the report is not yet another footnote in the history of the suffering of the Palestinian and Israeli people, or that last summer’s incursion was not simply another chapter in the cycle of violence in Gaza, which is doomed to be repeated? I hope that the Minister will be able to tell us how the Government will work with Israel, Palestine, and the Human Rights Council and UN to end the culture of impunity that has prevailed, to support new dialogue and to promote co-operation with the International Criminal Court. Minister for the Middle East Tobias Ellwood: I will outline the Government’s position on the vote and the report, on what Britain is doing in Gaza unilaterally and multilaterally on the humanitarian front and so forth, and on the longer term aspects. We deeply regret the loss of civilian life during the Gaza conflict last summer and the terrible toll of the ongoing Israeli-Palestinian conflict on citizens of both sides. The UN Commission of Inquiry report brings the scale of human suffering into sharp relief. It notes the victims’ continued hope that leaders will “act more resolutely to address the root causes of the conflict so as to restore human rights, dignity, justice, and security to all residents of the Occupied Palestinian Territory and Israel”. As many Members of Parliament have said, this is not the first time that we have been around this buoy—Operation Cast Lead, Operation Pillar of Defence—and it seems to be something that we do every two years, with Gaza getting destroyed and rebuilt. We must break that cycle, if we are to hope to move forward. We continue to believe in the critical importance of a negotiated two-state solution to end the conflict once and for all. We strongly condemn the indiscriminate firing of rockets into Israel by Hamas and militant groups in the Gaza strip, as detailed in the report. On the seeming imbalance of munitions going from one side to the other Members of Parliament will be aware of the Iron Dome project in Israel, which has stopped many of the munitions fired by Hamas. That is why there is the disproportionate number of fatalities or injuries on one side. I simply state that as a comment, not to justify anything. As we have made clear, we recognise Israel’s right to defend itself. Every country, including ours, has a right to defend itself from terrorist groups and organisations, such as Hamas, and attacks. But it is a principle of international humanitarian law that the use of force in self-defence must be proportionate. The Commission of Inquiry report calls on all parties to fully respect the main principles of international humanitarian law and international human rights law that Kerry McCarthy —distinction, proportionality and precaution—and to establish credible, effective, transparent and independent accountability mechanisms promptly. We echo those calls. We note that the report highlights “substantial information pointing to serious violations of international humanitarian law and international human rights law by Israel and by Palestinian armed groups. In some cases, these violations may amount to war crimes”. The UK, along with our EU partners, voted in favour of the resolution on the report at the Human Rights Council in July 2015. We would have preferred to see a text that gave more weight to Israel’s legitimate right to self-defence, and to the threat Israel faces from militant groups operating from inside Gaza, including Hamas. However, despite those concerns, we supported the resolution. I make it clear to Members of Parliament, who will be familiar with this from texts agreed behind the scenes in this place, that we need to find a balanced text to support; we found that resolution to be a balanced and appropriate text. A number of Members of Parliament have raised concerns about the political and humanitarian situation in Gaza. We must do everything we can to avoid another conflict. The ceasefire agreement reached in 2014 holds, by and large, but there has not been the necessary progress toward a durable solution that addresses the underlying causes of the conflict. Indeed, worse than that, we are aware that the tunnels are being rebuilt and that Hamas is re-engaging and purchasing new weapons systems. We are also aware that other extremist groups such as ISIS are taking an interest. Where would it take this conflict if we were to see that extremist operation move into the area? Members of Parliament have asked what can be done. It is clear that there is an urgent need to do more to address the terrible situation now. We need bold political steps: without addressing the underlying causes of the conflict, we will never break the cycle of violence I alluded to earlier—there is no alternative that can deliver peace and security for Israelis and Palestinians alike. Holly Lynch: I will reiterate some key points. A key concern for me is the young people of Gaza. We have already heard that the population is increasingly dominated by young people. At this point, they are without a future. A number of Members of Parliament made the connection between Hamas and Daesh. That is precisely why we need a real commitment to a peace process. As we have talked about, it seems inevitable that the conflict will go in that direction, but that is why we have to look with renewed vigour to resolve the issue and find peace for the region, so that it does not slip further into turmoil that has an impact not just on the region but on our shores. It is in all our interests to work towards resolving the situation. I echo the sentiment of the Member of Parliament for Aberavon Stephen Kinnock: 40% of the report focuses on acts committed by armed Palestinian groups, so it is not one-sided. It looks into atrocities committed on all sides. There will inevitably be gaps in the report, as one or two Members of Parliament pointed out. That is partly because Israel failed to co-operate with the UN and provide the evidence needed to plug some of the gaps and allow more informed decisions to be made and reported. Resolved,That this House has considered the report of the UN Independent Commission of Inquiry on the 2014 Gaza conflict.